My wife and I love to travel. Our first choice for accommodation is always a unique Bed & Breakfast. The Prior House is more than just good accommodations. The place is absolutely sensational! Take a good look at their web site and you will see for yourself. However, the pictures and descriptions don't completely capture the beauty and tranquility of this historic gem. Ted and Candace are wonderful hosts who make sure you're completely taken care of during your stay. Let us assure you that gourmet is an apt term to describe the breakfast. Geoff knows his way around a professional kitchen and there is more than enough to eat! A fine balance of exquisite presentation, flavour and nutrition stokes you up for a busy day touring Victoria. 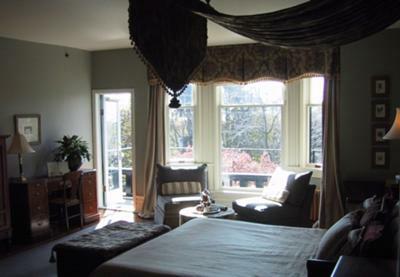 Speaking of touring, the Prior House is just a short walk away from the inner harbour. The Prior House won't be the most inexpensive accommodations you will ever stay at, but it is so true that you get what you pay for and the Prior House is superb value for your money! On a personal note, I need to say that I use a guide dog to assist with my mobility needs as a blind man. I have had some access issues with other lodgings but not with the Prior House! Pierce was welcomed with open arms with no problems what so ever! In fact, he truly was the King of the Castle! Pierce the Guide Dog gives the Prior House Bed & Breakfast 4 paws up! Thank you Ted, Candace, Geoff and Mary! We so look forward to our next stay at your fine establishment! An uneducated person has to face many difficulties in life. He is not able to perform even the simplest task without the need of asking for help as all the things today are highly complicated and need understanding. Join in and write your own page! It's easy to do. How? Simply click here to return to Recommend a Place to Stay in Victoria.